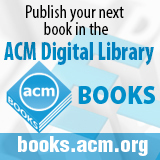 Welcome to the March 30, 2015 edition of ACM TechNews, providing timely information for IT professionals three times a week. A conference last week convened participants in the U.S. National Science Foundation's Global Environment for Network Innovations (GENI) and US Ignite projects to highlight initiatives for accelerating the proliferation of next-generation Internet technology to spur scientific discoveries, economic development, education, and public health. Among the themes of the conference was the role of government and public funding in technological advancement, which tends to be downplayed with private money flooding into tech firms and startups. The government role of funding fundamental research at universities that sometimes ends up in the marketplace is symbolized by GENI, which concentrates on ultrahigh-speed networking and customizing networks with software for peak security and performance. Since its inception, GENI has contributed substantially to the software-defined networking market, which is forecast to total $35 billion by 2018. Meanwhile, US Ignite is designed to encourage the production of software apps that leverage the GENI infrastructure into tools for fields such as healthcare, energy, transportation, and manufacturing. The expected impact of the Internet of Things (IoT) also was spotlighted at the conference, with attendants expecting the linkage of sensor-laden devices to the Internet to fuel demand for next-generation networks and software for extracting meaningful patterns from all that data. OneCommunity CEO Lev Gonick stressed the need for an IoT infrastructure committed to the public good. Popular U.S. coding website GitHub is under siege by a distributed denial-of-service attack that security experts say originates from China, and whose orchestrators are likely attempting to shut down anticensorship tools. Experts say the attack, which started last Thursday and was continuing Sunday, inundated two GitHub pages linking to copies of websites banned in China with Internet traffic. "Based on reports we've received, we believe the intent of this attack is to convince us to remove a specific class of content," GitHub says. The traffic flooding the website was directed from overseas users of China's Baidu search engine, although Baidu insists it was not involved with the assault and its systems were not infiltrated. Experts say when a user navigated to the Baidu search engine, a code was triggered that sent continuous requests for data from the user's computer to GitHub; this made the attack harder to block because the requests came from across the globe and resembled normal information requests. According to GitHub, the cyberattack is the largest it has experienced since its 2008 founding, and on Sunday it said it had mitigated some of the effects of the attack. F-Secure's Mikko Hyponen reports the attack likely involved Chinese authorities because the hackers were able to influence Web traffic at a high level of China's Internet infrastructure. In 2005, three Ph.D. students at the Massachusetts Institute of Technology developed SCIgen, a program to generate nonsense computer science papers as a way of unmasking scientific conferences and journals that were failing to carry out genuine peer review of submissions. Since then, SCIgen, and others like it, have become sources of embarrassment for major academic publishers. Germany-based publisher Springer and the Institute of Electrical and Electronic Engineers (IEEE), for example, have had to retract 122 nonsense papers. This month, Springer announced the creation a new tool meant to combat nonsense paper submissions. Called SciDetect, the tool was developed in partnership with Cyril Labbe, a computer scientist at Grenoble's Joseph Fourier University. The tool uses a statistical technique similar to those used by email spam filters to automatically detect papers created with SCIgen and similar programs. Springer says it developed SciGen in response to a recent scandal involving Chinese students and academics padding their resumes with articles generated by SCIgen and similar programs. However, critics say the technology provides publishers with an excuse to not employ peer-reviewers and will mark a return to the old status quo SCIgen was created to criticize. Makers of computer, automotive, and other high-tech hardware components increasingly are adopting an open source model, sharing each other's once-proprietary designs in order to accelerate technology development. Facebook's Jay Parikh reports his company has shared designs for data storage, computer servers, and other hardware, and he notes Facebook has consequently seen rapid enhancements. The company's strategy has enabled Facebook to see numerous variants that individuals and companies produce inexpensively, and they frequently contract with prototype makers over marketplaces such as Chinese e-commerce site Alibaba, or they may use three-dimensional printers. Similarly, Tesla Motors CEO Elon Musk donated all of his company's patents, arguing "technology leadership is not defined by patents, but rather by the ability of a company to attract and motivate the world's most talented engineers." All kinds of developers can now find each other and swap ideas thanks to massive global connectivity. Make Media CEO Dale Dougherty notes companies that open-source their hardware are typically not doing so for altruistic purposes. "It can create competition for your enemy without spending money on a new product," he says. Giving business a jolt can be another goal, as Facebook's open designs have fostered commercial relationships that reduce its supply costs and accelerate innovation. University of California, San Diego (UCSD) researchers have developed implicit/explicit (IMEX) time-marching schemes that can speed up time-resolved numerical simulations in computational grand challenge problems. Computational grand challenge problems often arise from the high-resolution approximation of the partial differential equations governing complex flows of fluids or plasmas. The researchers say their breakthrough will enable numerical problems of a given size to run much faster on a given computer. "The remarkable feature of the new family of schemes developed in this work is that they require significantly less memory in the computer for a given size simulation problem than existing high-order methods of the same class, while providing excellent numerical stability, accuracy, and computational efficiency," says UCSD professor Thomas Bewley. The IMEX schemes combine two algorithms for time-resolved simulations of the standard Runge-Kutta form: the implicit algorithm is applied to the stiff terms of the problem, while the explicit algorithm is applied to the nonstiff terms. "Searching for the right combination of the dozens of parameters that make these new IMEXRK algorithms work well was like finding a needle in a haystack, and required a tedious search over a very large parameter space, combined with the delicate codification of various numerical intuition to simplify the search," says UCSD researcher Daniele Cavaglieri. New research from Concordia University raises concerns about the effectiveness of password strength meters, or the bars that turn red, yellow, or green to rate the strength of new passwords. Professor Mohammad Mannan and Ph.D. student Xavier de Carne de Carnavalet have tested the meters of high-traffic sites such as Google, Yahoo!, Dropbox, and Twitter, as well as some found in password managers. The researchers say the meters can confuse people because what is considered a strong password on one site might be rated weak on another. For example, some meters are very strict, assigning scores only to passwords that contain at least three character sets, while others are fine with the selection of letter-only passphrases. "Dropbox's rather simple checker is quite effective in analyzing passwords and is possibly a step towards the right direction," Mannan says. "Any word commonly found in the dictionary will automatically be caught by the Dropbox meter and highlighted as weak. That automatically prompts users to think beyond familiar phrases when creating passwords." Companies can follow Dropbox's lead, but people also can select full-character-set random passwords. The idea that computer science should become a core aspect of K-12 education is gaining significant political currency around the country, but current state-level initiatives have so far been fairly weak. Many initiatives, such as one in Washington state, seek to have computer science count toward math and science graduation requirements. Texas last year mandated computer science education in schools, but has largely failed to fund and enforce the new rule. Meanwhile, Arkansas took the lead in pushing computer science in schools last month when it passed a comprehensive law requiring all public and charter schools in the state to offer computer science courses. The initiative was a key element of Gov. Asa Hutchinson's run for office last fall. Hutchinson says he views the effort as a way of boosting the Arkansas economy. Unlike Texas, the Arkansas law is funded, with particular attention paid to training and making resources available to teachers. Teacher training will be very important because, as Hutchinson notes, only about 20 teachers in the state are "properly prepared" to teach the new computer science courses. To assist teachers, the state is offering them access to supplemental training and other resources through the Virtual Arkansas online education portal. Gender bias appears to be a key contributor to the scarcity of U.S. women in science, technology, engineering, and math (STEM), according to new studies. Recent research in conjunction with the Association for Women in Science suggests bias drives women from STEM--and the mechanism of this prejudice can vary according to a woman's race or ethnicity. For example, interviews with and polls of female scientists found 66 percent of respondents had to prove their competence repeatedly, with black women significantly more likely to contend with this type of bias than other women. Another observed bias toward female scientists concerns pressures at work to play a stereotypically feminine role, especially for Asian Americans. Meanwhile, nearly 66 percent of female scientists with children across all races and ethnicities reported coming up against a bias where they were offered fewer opportunities in the workplace. A fourth bias pattern, which seems to be primarily applicable to black and Latina women, is self-isolation instigated by the perception that social engagement with colleagues could adversely impact views of their competence. Women who have run into discrimination early in their careers also may distance themselves from other women, creating a sense of competition and conflict between different generations of women. A new handheld device may help prevent the development of conditions that lead to blindness. Called mobileVision, the device links to a smartphone and is designed to make it easier for ophthalmologists to make an early diagnosis of vision-threatening conditions. A team from Rice University developed the device for patients, and it enables a region of the eye called the macula to be imaged without the need for dilation. MobileVision has movable optics, which permit the patient to shift their view around the inside of the eye. When staring into the device's eyepiece, the patient sees a target in the shape of a dark red disk. Moving the device's optics changes the disk's appearance, and when the device is brightest and most uniform, the optics are aimed directly at the macula. The patient then presses a button that moves the target aside so a camera affixed to the device can take pictures. A smartphone would capture this viewing window of a few hundred milliseconds in video mode and break the video down into still images. The user would send this stream to a clinic to analyze the images and fuse the best ones together to create an enhanced image. Doctors would then view the images and identify patients at risk of developing conditions such as macular degeneration. Researchers at Carnegie Mellon University (CMU), the Georgia Institute of Technology (Georgia Tech), and Zoo Atlanta analyzed the motions of sidewinder rattlesnakes and tested their observations on CMU's snake robots. The researchers showed how the complex motion of a sidewinder can be described in terms of vertical and horizontal body waves, and how changing the phase and amplitude of the waves enables snakes to achieve exceptional maneuverability. "This makes our modular robots much more valuable as tools for urban search-and-rescue tasks, power plant inspections, and even archeological exploration," says CMU professor Howie Choset. The researchers observed sidewinders making gradual changes in direction by altering the horizontal wave while keeping the vertical wave constant. They also found making a large phase shift in the vertical wave enabled the snake to make a sharp turn in the opposite direction. The researchers applied these controls to the robot, which enabled it to replicate the turns of the snake. "By looking for insights in nature, we were able to dramatically improve the control and maneuverability of the robot, while at the same time using the robot as a tool to test the theorized control mechanisms of biological sidewinders," says Georgia Tech researcher Henry Astley. University of Wisconsin-Madison (UWM) researchers have developed a new, faster approach to analyzing data obtained from the Square Kilometer Array (SKA), a radio telescope planned for Africa and Australia that will have an unprecedented ability to deliver data on the location and properties of space objects. The hydrogen data coming from SKA will be similar to the much slower stream of data coming from existing radio telescopes. However, "SKA is so much more sensitive than today's radio telescopes, and so we are making it impossible to do what we have done in the past," says UWM's Robert Lindner. The researchers have developed a computational approach that can analyze the massive amount of SKA data in just one second of computer time. The software can be trained to interpret the data by running on a high-capacity computer network called HTCondor. The study shows SKA will be accurate enough to replace manual processing, and its ultimate goal is to explore the formation of stars and galaxies. "We're trying to understand the initial conditions of star formation--how, where, when do they start?" Lindner says. SKA data will be combined with existing data on hydrogen clouds and added to cosmological models. The U.S. Defense Advanced Research Projects Agency (DARPA) is developing new, self-contained instruments with the goal of delivering more advanced position- and navigation-tracking technology. The All Source Positioning and Navigation system would be more reliable and accurate than global-positioning systems (GPS), which can be jammed by opponents and is inaccessible in some parts of the world. "The need to be able to operate effectively in areas where GPS is inaccessible, unreliable, or potentially denied by adversaries has created a demand for alternative precision timing and navigation capabilities," DARPA says. Algorithms would enable the new tracking technology to be more flexible and customizable. The new instruments, which could better track position, time, and direction of motion, will include high-precision clocks, self-calibrating gyroscopes and accelerometers, and high-precision instruments that can track position for long periods without relying on external sources. DARPA also is developing sensors that use signals of opportunity such as TV, radio, cell towers, satellites, and even lighting for real-time tracking. Compact navigation systems could be given to soldiers, put on tanks, or implemented in guidance systems.